Baba Bullah Shah (1680–1757) was a sufi from Punjab. He was a follower of the Sufi tradition of Punjabi poetry and followed in the footsteps of the greats including Shah Hussain (1538–1599), Sultan Bahu (1629–1691), and Shah Sharaf (1640–1724). He was well known for his liberal views and humanism. According to popular lore, Bullah Shah traveled to Lahore in search of a murshid (teacher). Blessed by his teacher Shah Inayat, Bullah Shah went on to find abundant spiritual insight. His poetry is filled with his search for God as he goes on a spiritual journey. Bullah Shah’s Kafis have been immortalised by Pathany Khan, Abida Parveen and Sain Zahoor. The younger lot too has been exposed to his sufi thoughts due to Rabbi Shergil and Junoon with Bulleh ki jana mein kaun getting ample airtime. 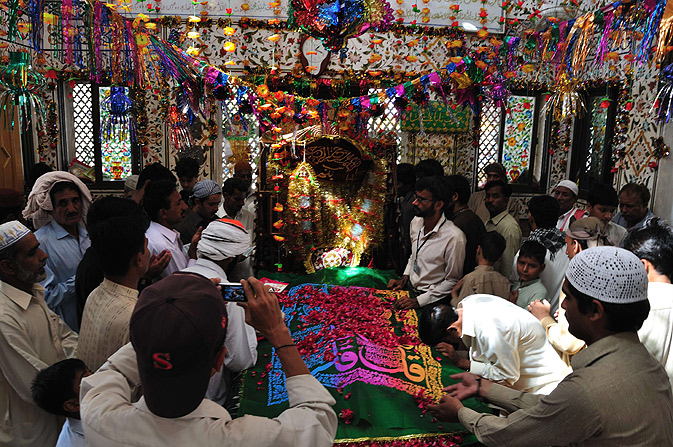 A trip to Baba Bulleh Shah’s shrine is an experience in itself. Be it the devotees who come here to pay their respects or the malangs lost in their own world, everyone aims to find peace.